PHOTO PROVIDED The Rochester Philharmonic Orchestra. 8 p.m. | $24-$106 | 454-2100; rpo.org. 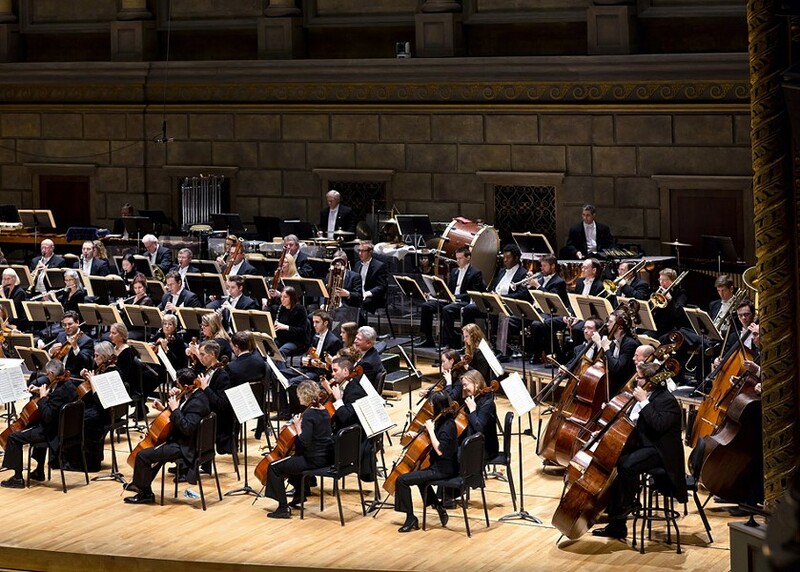 This week's Rochester Philharmonic Orchestra concert is an engaging RPO debut for Carlos Kalmar, a familiar name from radio concerts (with Chicago's Grant Park Symphony) and recordings (with the Oregon Symphony). Kalmar is known as an imaginative programmer, and proved it in this satisfyingly balanced concert. Not everything on it displayed the rustic "Hungarian Harmonies" promised by the concert title, but the music is more important than the marketing. Zoltán Kodály was definitely Hungarian, and is probably best known as a music educator, and though he has never had the cachet of his compatriot Béla Bartók, Kodály was quite a good composer. Written in 1933, his "Dances of Galánta" is an ideal concert opener - a tuneful collection of Hungarian folk material given an attractively modern orchestral shimmer. This colorful piece received an entertaining, if slightly underpowered performance. Kenneth Grant's reading of the long, luscious clarinet solo that dominates the first few minutes was one of its highlights. Robert Schumann's Cello Concerto is an odd example of a piece that is hugely demanding for the soloist - not to mention tricky for the orchestra - but never really comes across as a "virtuoso concerto." Unlike some of his contemporaries, Schumann had no interest in virtuosity in the tinselly sense, and his poetic vein dominates throughout this lovable piece, likely making it the favorite of cellists that it is. The concerto's touches of structural imagination only begin to reveal themselves after several hearings. It is elusive, but in the right hands, it's a very satisfying, work. The RPO's Principal Cellist, Ahrim Kim, played the demanding solo part with a refined tone and a kind of self-effacing confidence - the difference, perhaps, between a seasoned orchestral musician and a professional soloist. In this concerto, the customary three movements are telescoped into one. The opening section is by far the longest, and was taken at a rather broad pace. But Kalmar led it with a light, skillful touch, nudging the rhythms and minimizing the monochrome of Schumann's string-heavy scoring. Schumann had the happy idea of making much of the concerto's brief slow movement a duet for the soloist and the orchestra's principal cellist - or in this case assistant principal - Kathleen Murphy Kemp. As you'd expect, Kim and Kemp played with sweet unanimity. This section had just the right song-without-words quality, almost too intimate for a large concert hall. The symphonies of Joseph Haydn are often tucked into the opening spot on concert programs, but Kalmar gave pride of place to Haydn's Symphony No. 98, performing it right after intermission. It deserves it. This is one of Haydn's twelve "London" Symphonies, written for his two successful visits to that city in the 1790's. A few of them are very popular, but if you ask me, orchestras never play enough of these symphonies; the RPO last performed No. 98 in 1977. But they are all grand in their combination of sophistication and simplicity, and among the high-water marks of symphonic history. Kalmar's energetic reading made the most of Haydn's quirkier touches. For example, Haydn had a penchant for stopping a movement in mid-flow, and after a few seconds' silence, proceeding as if nothing had happened. The finale of No. 98 also spotlights the concertmaster - here, Juliana Athayde - and, ever so briefly, the harpsichord player (probably Haydn himself in the first performance; Joseph Werner in this one) in endearingly odd ways. Kalmar went where most contemporary conductors wouldn't in concluding his concert with Franz Liszt's Hungarian Rhapsody No. 1, (his first for orchestra, that is; it's partly an arrangement of No. 14, for solo piano). You may hear these once-hugely-popular pieces in an occasional Tom and Jerry cartoon, but almost never in a concert. The RPO last played this one in 1928. Be that as it may, its giddy mood swings and colorful orchestration were done to a turn under Kalmar's baton. If the Kodály was a bit disappointing, this Liszt performance was a sizzler, and made a nifty ending.